Featuring Rick Hansen, Canada’s national pride, Giants Among Us is a captivating story celebrating Canada’s 150th year of confederation in 2017. We follow a visionary group of Canadians working together to help save the enigmatic White Sturgeon of British Columbia’s Fraser River. We explore Canada’s reverence for nature with beautiful imagery from one of the world’s most awe-inspiring rivers. The story narrated by Rick Hansen, weaves the incredible 150-year lifespan of an individual Sturgeon into a timeline that marks key milestones in Canada’s 150-year history as a nation. We follow Rick’s impressive conservation efforts as he captains his boat up the Fraser in search of the legendary fish. On the scenic waters of this iconic river Rick shares very personal, life changing moments from his childhood and adult life. 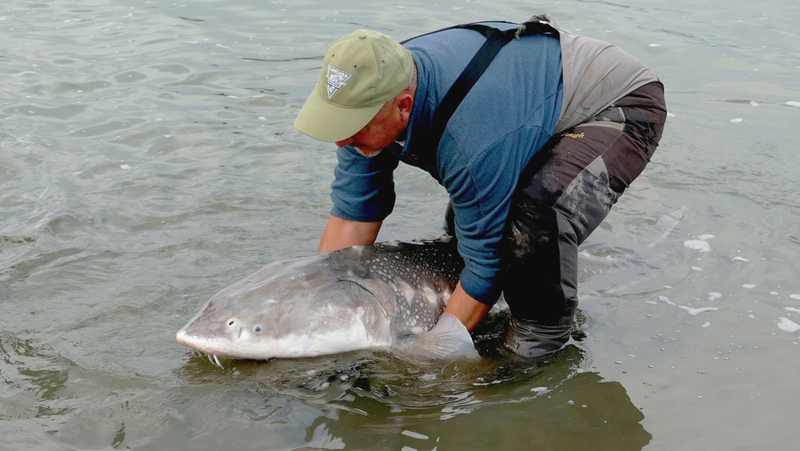 Filmed throughout British Columbia, Giants Among Us also incorporates archival footage from NASA, Rick Hansen's Man in Motion Tour and Archives Canada to highlight the astonishing changes in our world during the lifespan of an individual Sturgeon - a creature of legend, hidden in the murky depths of the Fraser river. A ghost in the water… a giant among us.